The Freedom model of PCSchool is aimed at providing an extremely flexible way to manage caregivers, students and staff. 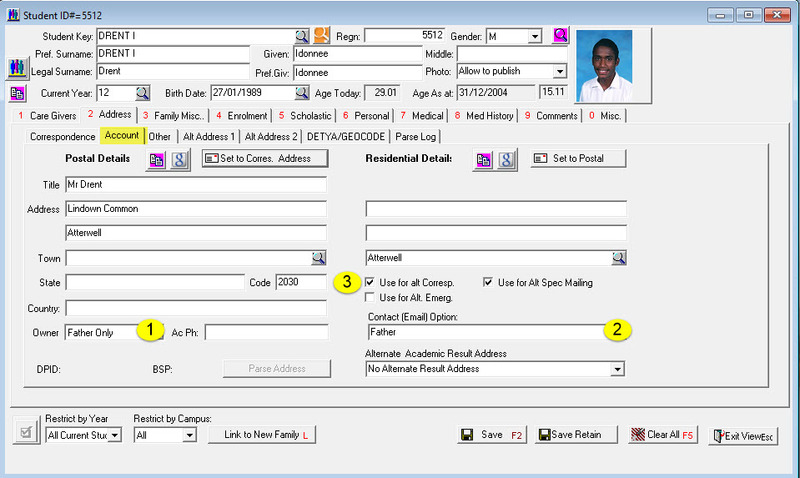 It will remove the current constraint of 4 caregivers associated to a student and will create caregivers as unique identities within PCSchool. Freedom Model allows a caregiver to be associated to students across different families without duplicating information. 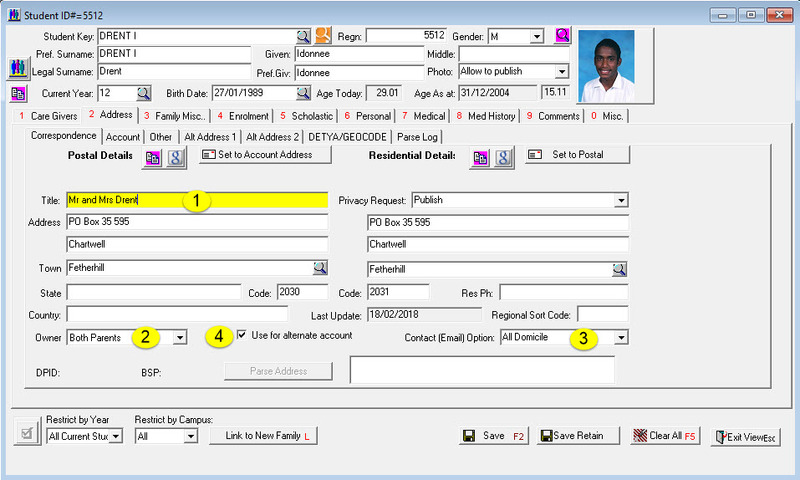 Emergency contacts will be created as a separate identity so they can be applied against multiple families. 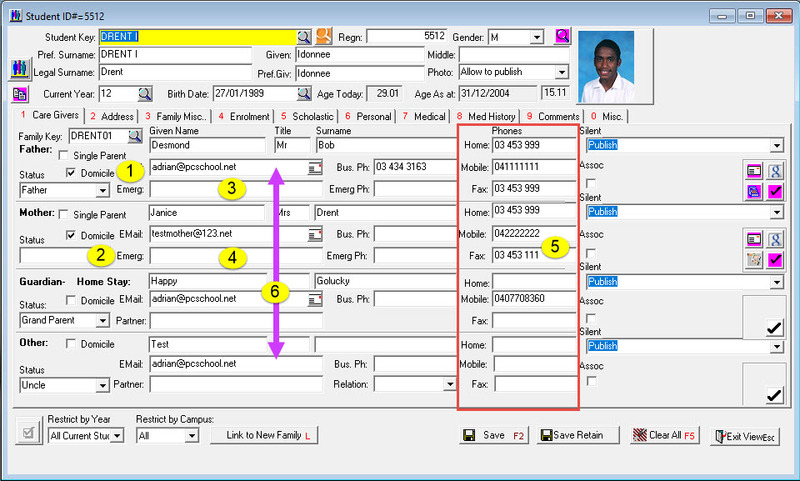 Changing contact details in one place will automatically be reflected in all of the families they are associated with. Staff members who are also caregivers will be represented by a single Identity. After the conversion to the Freedom Model, each caregiver will have their own login to Spider. Each care-giver will see the children they are associated with, which may include children from more than one family unit. These changes are designed to provide unparalleled flexibility when associating caregivers to students, allowing an unlimited number of caregivers/associates to be assigned to a student. For compatibility, the Freedom model will maintain 4 caregivers within the traditional family structure, but additional identities can be created. The link below is of the 2017 conference presentation. Please use this as a guide only as many of the screens may have changed with recent developments. It will give you a fair indication, however, of what to expect. We are still refining the communication options and more detailed information about the will be available in due course. If you wish to see the current Freedom screens, please email help@pcschool.net to request a login to our demo site. Start the Freedom Checks outlined below. They can be started at any time. They must be completed prior to the conversion day to ensure the data transitions as expected. To start the formal process, email help@pcschool.net with your preferred conversion dates. The process takes about half a day. Bookings are essential and are generally set well in advance of the proposed day. This process will involve confirming the conversion quote that you will be sent to you. We will confirm the dates shortly after receiving your request. If you wish to have training, please advise a preferred date . Generally this will be the next day and involve staff engaged in student entry. If you plan to convert the PCSPlay area as well, please indicate a date. This option allows you to see your data in the converted form prior to going live. It also allows your staff to interact with your data to become familiar with the new controls. IMPORTANT Any customised reports (Eg Reports you have added your logo to) that have address information on them need to be sent in to us for conversion to the new address tables, especially Account Statements. Please email them to help@pcschool.net with a note regarding Freedom Conversion. There is a cost for this based on the number of reports to be converted. In most cases it will be the minimum charge. Check with all third-party providers who are extracting our data for to ensure they are aware of how to extract the data once you are converted to the Freedom Model. This primarily affects caregiver details including addresses. Ensure you install the latest Follow-up and Spider immediately prior to the conversion. The Student View in Back Office becomes read only. Family Profile Update reports will need to be made Freedom sensitive. Ensure the “Domicile” is checked correctly. Domicile essentially indicates whether the student lives with that person for any amount of time. Schools may have used this for other purposes however this is how it will be interpreted during conversion. Ensure the “Status” field indicates who the owner is. By default, unless declared otherwise, it will assume the person has the role labelled in the caregiver block. In this case shown labelled (2), the person will be assumed to be the mother. If this is the case, no changes need be made. Check the “Emergency Contact” information contains meaningful information in order to identify a particular person. Each “Emergency Contact” will be created into an Identity in their own right. To make this process easier for you, replace descriptions like “neighbour” with an actual person’s name. With the Freedom Model, an emergency contact can be associated with multiple families. Ensure all contact numbers are consistent across families. Part of the initial matching process looks for commonality between caregivers of different families based on phone numbers. Check that email addresses are correct. A greater number of external applications rely on the caregiver’s email being unique to a single person. Although this is not required by PCSchool, it is a good opportunity to check with families if more than 1 caregiver is using the same one. All address tabs being used MUST have an owner. Do not use “Step Father” or “Step Mother”. Ensure the “Contact (Email) Option” reflects the Owner. If the owner is “Mother Only”, then this option should be “Mother” if she wishes to receive email correspondence. In a split family situation, where “Father” also wishes to receive email, they will be set up on a different tab with the “Alt Correspondence” checked. If this correspondence owner is not set up under the “Account” tab, but wishes to receive account information, check this option. Ensure the “Account” owner has been declared if you use PCSchool for debtor billing. This should match the account title. If the account owner is a different person form the correspondence owner, and you wish them to receive correspondence regarding the student, ensure the “Use for alt corresp.” option is checked. This will display a series of options for you to choose. It is important to run each of these exports. If any issues are identified they need to be addressed although not all are critical. If you are unsure how to address the issue, please contact the PCSchool helpline.